British researchers have studied the social and psychological characteristics of drinkers who regularly consume twice the recommended amount of alcohol and have identified nine types of heavy drinkers. The U.K. Department of Health hopes to use the information to target public health campaigns at those who are drinking at risky levels. According to the British National Health Service, alcohol-related illnesses cost the government about $5 billion a year in healthcare costs. "This will be a tough one to crack," an NHS spokesperson told Lucy Cockcroft in a report for the news media. "Research found many positive associations with alcohol among the general public — even more so among those drinking at higher-risk levels. For these people alcohol is embedded in their identity and lifestyle: so much so that challenging this behavior results in high levels of defensiveness, rejection or even outright denial." Boredom Drinkers consume alcohol to pass the time, seeking stimulation to relieve the monotony of life. Alcohol helps them to feel comforted and secure. Depressed Drinkers may be of any age, gender or socioeconomic group. They crave comfort, safety and security. Re-Bonding Drinkers are driven by a need to keep in touch with people who are close to them. Community Drinkers are motivated by the need to belong. They are usually lower middle-class men and women who drink in large friendship groups. Hedonistic Drinkers crave stimulation and want to abandon control. They are often divorced people with grown-up children, who want to stand out from the crowd. Macho Drinkers spend most of their spare time in pubs. They are mostly men of all ages who want to stand out from the crowd. Border Dependents regard the pub as a home from home. They visit it during the day and the evening, on weekdays and at weekends, drinking fast and often. Regardless of what type of binge drinker you are, make no mistake about it, binge drinking is dangerous. 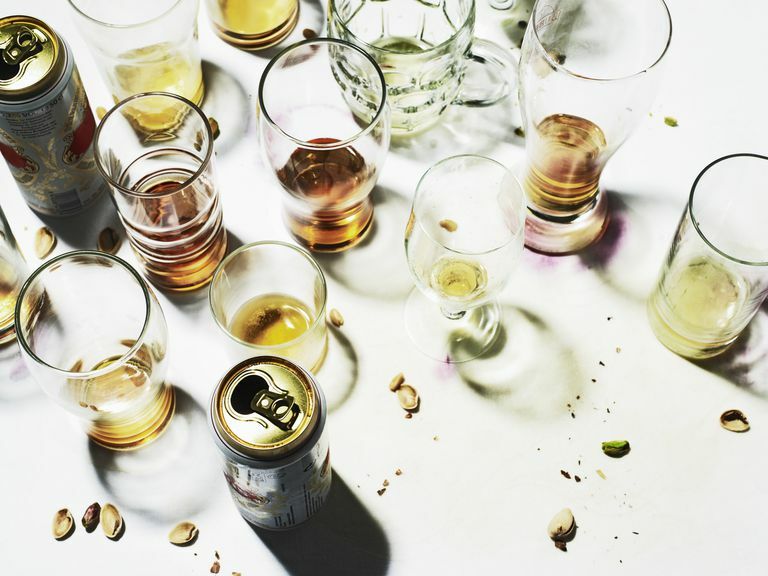 When we say "binge drinking" we are not talking about going on a multi-day bender, we are referring to drinking five or more drinks a day for men and four or more for women. That level of drinking is considered harmful because it can cause a wide range of health problems and other consequences. Occasional binge drinkers have a high rate of injuries compared to nondrinkers and even to those who are chronic heavy drinkers. In the U.K. where this research was conducted, the guidelines for low-risk drinking is less than 14 "units" of alcohol per week. A pint of strong lager contains about 3 units of alcohol while a standard glass of wine contains about 2.1 units. In other words, to remain at the low-risk level, British drinkers can have about six pints of beer a week or about seven standard glasses of wine. In the U.K. someone who drinks twice this amount per week is considered a binge drinker. If you are even an occasional binge drinker, there are many reasons you should try to stop the habit or try to cut back on your drinking.